Liven Up Your Party or Event with a Wine Tasting! Interested in having a wine tasting brought at your next gathering, corporate or charity event? Crush offers personalized wine tastings at your home, office or event! 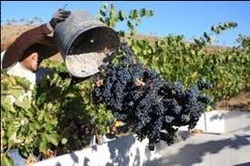 Crush is the most exciting time at the vineyard when the grapes are ready to be picked. Friends, neighbors and family gather to help bring in the harvest, crush the grapes and join in the celebration!